Please call on +91-9319619589, +91-9319830138 for quick response. Decan Air Ambulance provides compassionate services to save patients life by saving time and money, yes, now you all can avail the advantage of best and low fare ICU support charter as well domestic Air Ambulance from Mumbai anytime with complete transportation facility and world-class services at a reasonable fare. As we know very well that due there are a huge need and demand for Air Ambulance in Mumbai, most people unable to utilize this service due to expensive cost. But now at Decan Air Ambulance once can easily book and hire this service anytime at a reasonable fare. 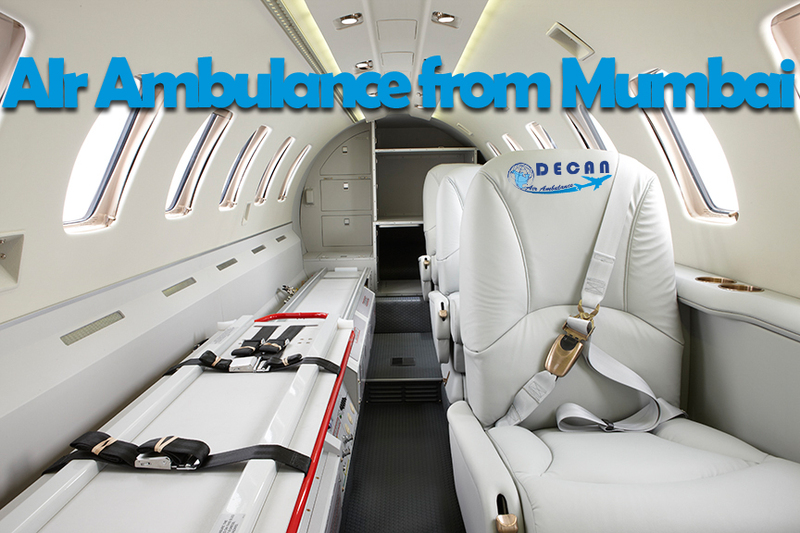 Because Decan Air Ambulance Mumbai Charges is very low then another available charter Air Ambulance from Mumbai. Apart from offering an outstanding medical facilities and bed to bed transfer services Decan Air Ambulance also provides reliable and well experienced medical crew to assist, monitor and control patient condition during the transportation. While Decan Air Ambulance provides on-call assistance facility to book this lifesaving medical transport services via call, email and text. So stop looking anywhere and contact today if you really need charter Air Ambulance Service in Mumbai to shift your patient from Mumbai to Delhi and anywhere else within and beyond India. So if you ever need and look for best Air Ambulance Service in Mumbai then must contact us anytime to book and avail our services to safely and comfortably shift your patient anywhere within the country with complete care and medical support. Decan Air Ambulance Mumbai will be always available and ready to fly anytime for those patients who need quick transportation within golden hours.